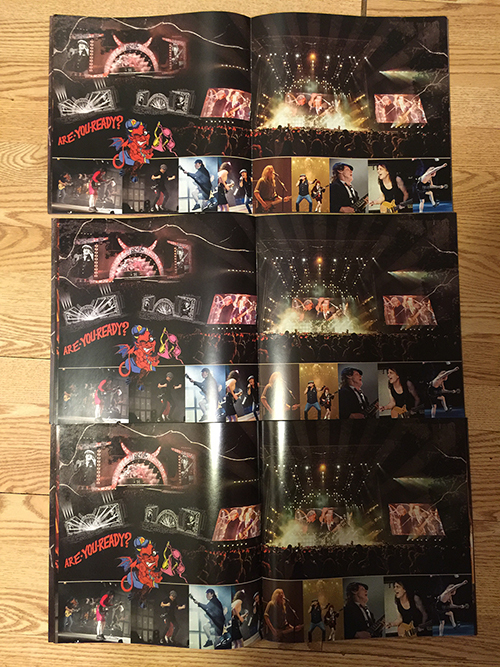 Like all tours, there are programs sold at the shows to help fans remember the sights and sounds of the show. 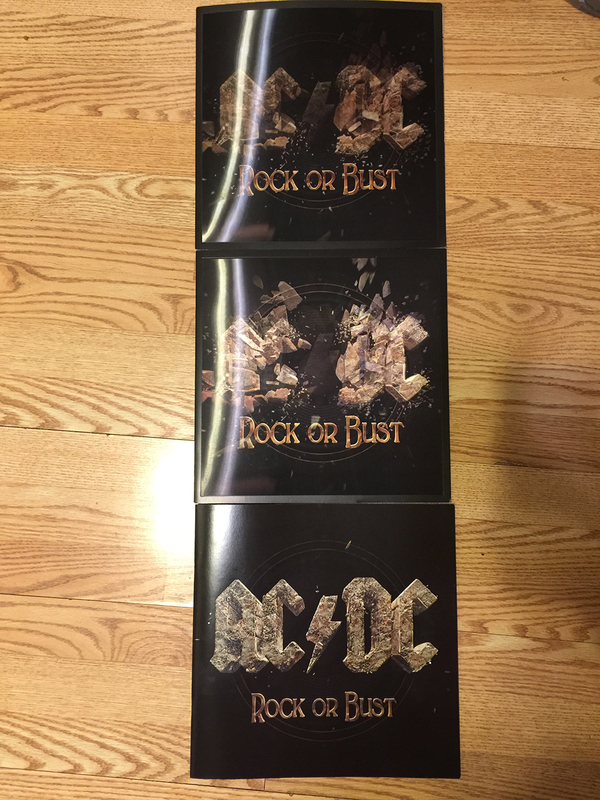 The Rock or Bust tour is no different. 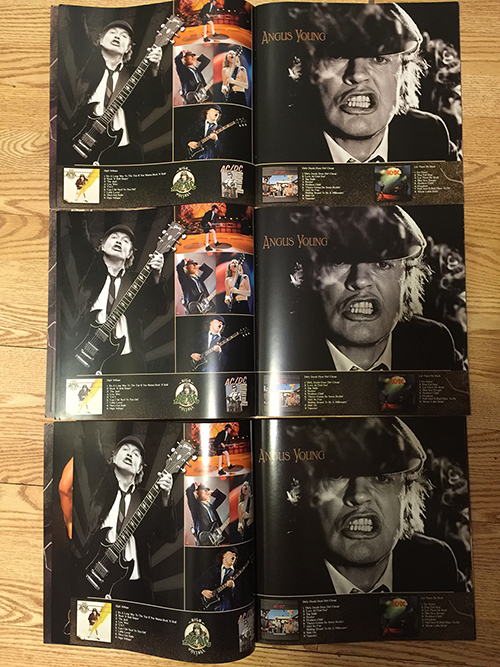 At present, there are four versions of the official program. I am learning more about the first version now, but it reportedly has a non-holographic cover. I'll post more when I learn more. (Thank you Philippe D. and Stefan K.). 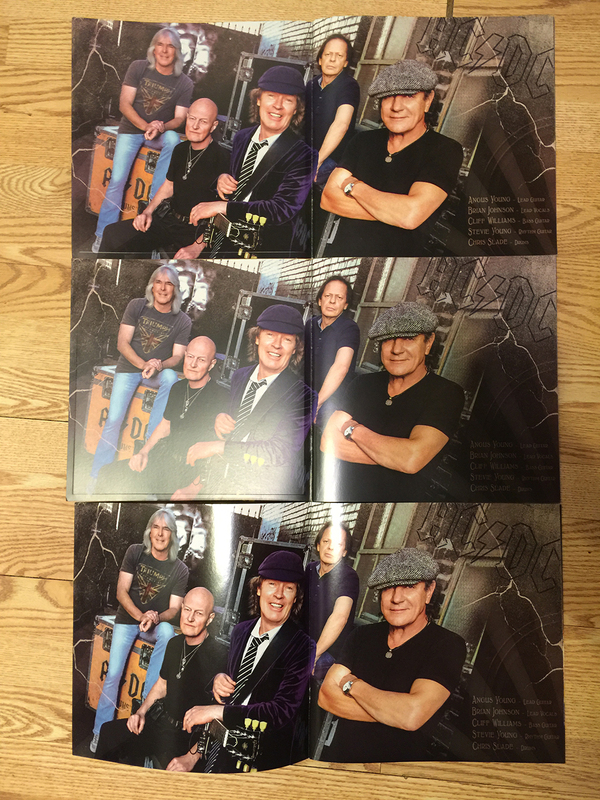 The second was sold for a short time, early in the first Europpean leg of the tour in 2015. 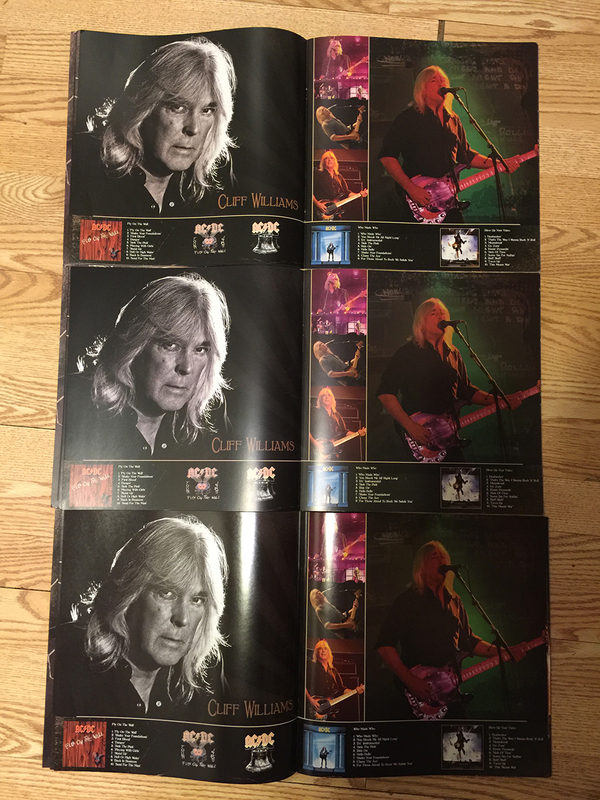 It is the shortest of the three versions I have and was only sold for an estimated 5-10 shows on the tour. The third version was made available soon after and features more live photos from early in the Europpean tour. This version was sold on the remaining shows of that leg, as well as the rest of the 2015 shows, including the North American and Australian legs. The front covers of both of these versions feature the same holographic photo as the standard album cover. 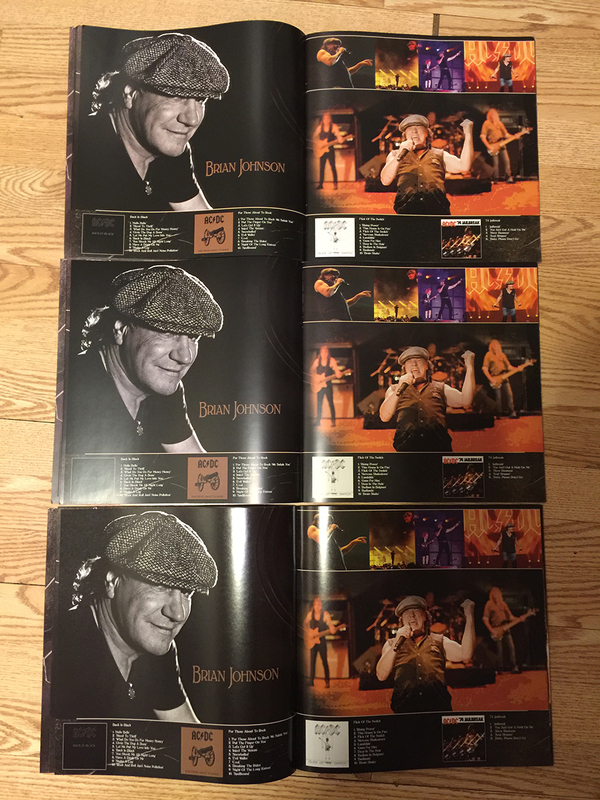 The third version was made available at the start of the US leg of the tour in 2016 and has a non-holographic cover. It is raised and textured instead, and includes the 2016 cities as well as those from 2015. 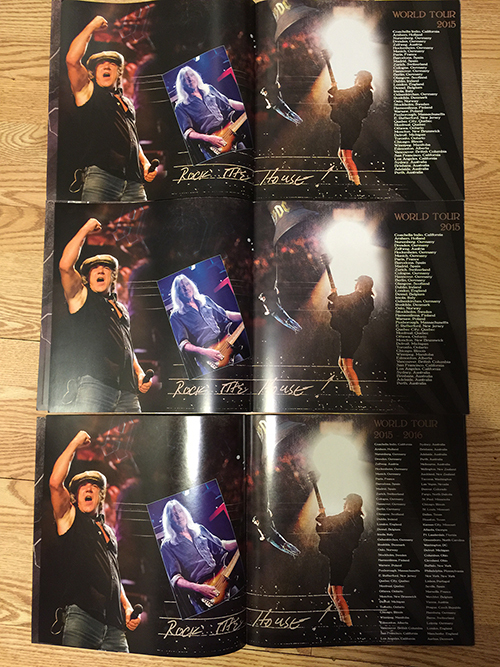 The inside features even more live shots than the second version, including a collage featuring shots of Brian, Angus and Cliff and a few pages of the different looks of the lighting and Angus on the raised platform at the end of the catwalk. Overall, all three versions are very similar and feature manyu of the same photos. 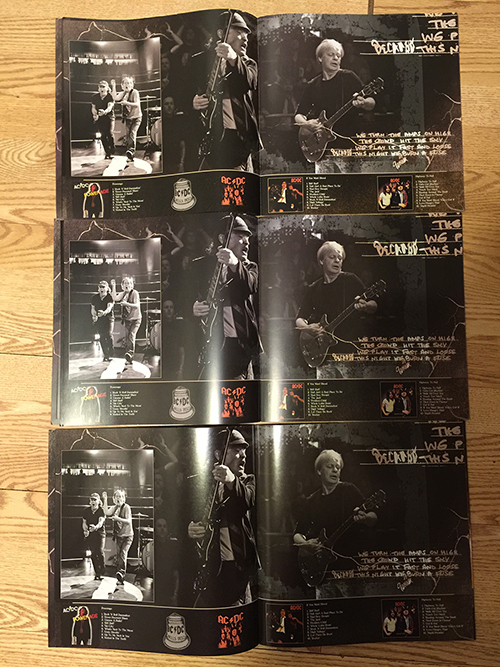 But, with each program, a few new pages are added. 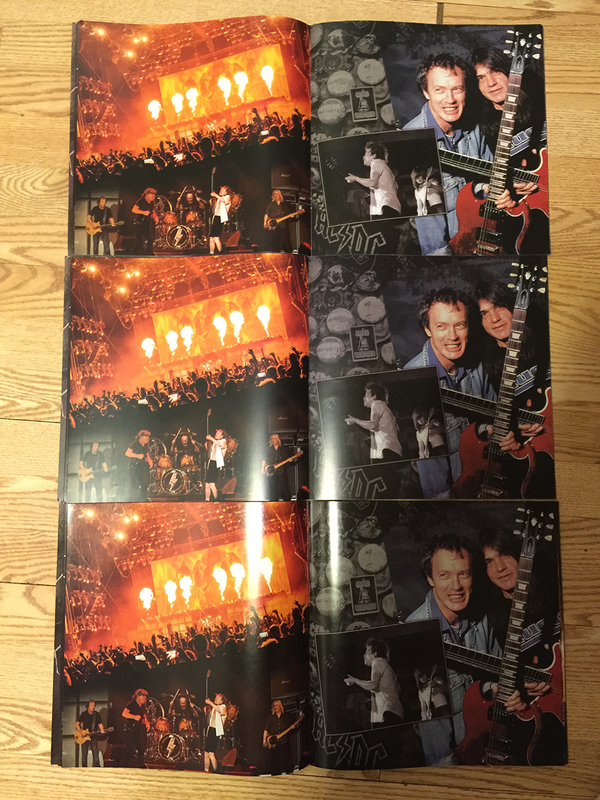 Feel free to look at the photos below to compare each program, page by page. Version 2 is at the top of each photo, version 3 in the middle and version 4 on the bottom.